Product prices and availability are accurate as of 2019-04-25 04:27:40 UTC and are subject to change. Any price and availability information displayed on http://www.amazon.com/ at the time of purchase will apply to the purchase of this product. 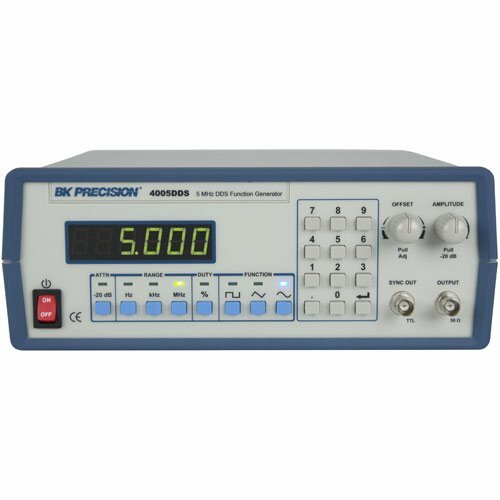 The BK Precision model 4005DDS is a versatile 5 MHz DDS (direct digital synthesis) function generator with a 4-digit display. 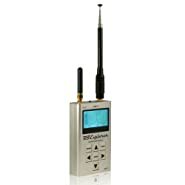 The instrument generates sinusoidal, triangular, and square waveforms over the 1 Hz to 5 MHz range. 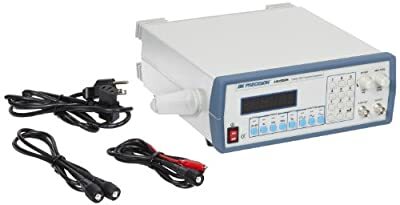 The output voltage can be varied from 0 to 10 Vp-p into 50 ohms or to 20 Vp-p into open circuit. A continuously variable DC offset allows the output to be injected directly into circuits at the correct bias level.